As someone who is more than likely interested in aromatherapy (I’m guessing you wouldn’t be here otherwise) you will be pleased to know that there are a number of aromatherapy schools online where you can sign up for courses to further your knowledge of aromatherapy. Whether you are looking for a course to simply tell you what to look for in essential oils to use in aromatherapy or whether you are looking for a fully accredited online aromatherapy school you are sure to find what you are looking for. The trouble is that there is such an array of aromatherapy schools online these days that it is hard to know where to look and what to look for. If you are looking for aromatherapy online courses then you could of course use a directory or you could just go straight to Google. However, as specialists in online aromatherapy courses you are best served to use our expertise and knowledge in this area. The types of courses you might find online will range from short courses that cater for the casual user and these might include topics on the anatomy, carrier oils, stress relief, the extraction, mixing and blending of essential oils to name but a few. The more advanced students might be looking for more specialised anatomical and physiological courses such as education around the muscular, endocrine, reproductive, circulatory and digestive systems to further enhance their already established aromatherapy knowledge. It is not just the subject knowledge that aromatherapists need to learn, there is also a lot to learn about dealing with clients and running a business. You can be the best aromatherapist in the country but if you cannot communicate effectively with your clients then your business is going to suffer from the get go. As someone who is already (at the very least) actively interested in learning more about aromatherapy, you will have a good understanding of what being an aromatherapist is all about. So you are probably just as passionate as we are about this complementary and alternative medicine that is used to improve a patients well being as well as their physical and emotional health. The use of essential oils in this process is key and if you are not well educated in how to source, blend and use these essential oils then I would suggest you opt for a course that is conversant in this area initially before you look at more advanced techniques. 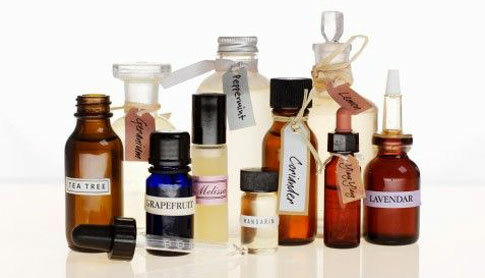 If you are looking to embark on a career as an aromatherapist then you have made a very sound choice. There are a number of considerations that you need to make if taking it up as your profession but two things that you might not have considered are the need for insurance and the need for you to have completed of an accredited aromatherapy course – either online or in person at a college or other educational institution. When looking for an online aromatherapy school it is important that you look at the course content and ensure that it covers all of the areas that are important to you. As an aromatherapist your day-to-day work is going to include duties such as client consultation, discussing client medical history, selecting and blending appropriate oils and the application of the oils to the client. It may also be important to keep a record of the work and provide the client with oils to take home for personal use. If any of these areas are weak for you then you will need to ensure that your course covers these important topics. When looking for a course to become an accredited aromatherapist you will want to choose one that is reputable and highly recommended – that is why you should choose your online course with us.